Fits vertical & horizontal twin cylinder (L-Head) engines. This is a New OEM Genuine Swisher Operator Presence, Engine Zone Cable, part number 2034B. 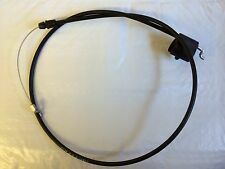 This cable is used on mowers with Briggs & Stratton engines. Tube fits the following tire sizes. HUSQVARNA: 532 17 39-20 ,532 18 00-54. HUSQVARNA: 3 for 48" cut. AYP: GTH2548 ,LT2323A2 ,YTH2148 ,YTH2448 ,3 for 48" cut. AYP/ROPER/SEARS: 3 for 48" cut. Need help with this item?. LENGTH16-5/8". Fits Models. Tire Inner Tube TR13 Valve. Lawn Mower/Trailer. will fit all the sizes listed below. ATV'S, GO KARTS ETC. 1 Air filter 1 Fuel filter 2 feet Fuel line 1 Spark plug 1 Adjust tool. Kawasaki Ignition coil 21171-7034 Genuine OEM. 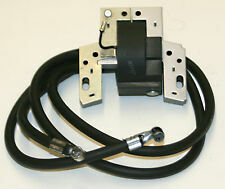 KAWASAKI IGNITION COIL 21171-7034. Kawasaki: 211717034 ,211717007 ,211717006 ,211717001 ,211717003 ,211717002 ,211717026 ,211717037 ,211717024 ,211717013 ,211717022. 280104S 693059S 695708. Starter gear replaces Briggs and Stratton. Tread: BarHub: 1-5/8" OffsetWheel Size: 8" x 2" (OD x W)Wheel Color: WhiteCenter Hole / Bore Size: 1/2". 53 Tooth Gear Drive. FITSBRIGGS & STRATTON MODELS THE FINE PRINT . 20 853 8-S. 20 853 01-S. 20 853 02-S. 20 853 14-S. 20 853 16-S. 20 853 42-S. 20 853 43-S. SV590-3230 HOP 19 HP (14.2 kW)-->Fuel System Group 8-20-179. GX390 13HP. NEW CARBURETOR WITH FREE GASKETS! 1X CARBURETOR. 3X GASKETS. Cub Cadet L 1046. Cub Cadet L 1050. Cub Cadet LT 1042 LT 1045. Cub Cadet LT 1046 LT 1050. Cub Cadet SLT 1550 and SLT 1554. Cub Cadet 717-04163. Cub Cadet 717-04163A. Cub Cadet 917-04163. CRAFTSMAN NEW RIDING LAWN MOWER FRONT AXLE # 175131. THIS AXLE ALSO GOES BY # 195673, # 154427 & # 418168. THIS IS OEM AND NOT CHINESE IMITATION. IF YOUR FRONT AXLE IS SHOT THEN THIS IS YOUR DEAL. If you have the Kohler engine in your 317, this coil will not work. 318 - Must have the P218G engine Serial numbers 420,001 to 999,000 & Serial numbers 10,001 to 120,000. Lawn Mower Inner Tube Set - 4 Tubes 2 - 15x6.00-6 tubes for the front tires and 2 - 20x8.00-8 tubes for the rear tires. All four tubes have TR13 Rubber Valve Stems. Size: 13x5x6. Scag 482503. Scag Zero Turn Mowers: Tiger Cub, Sabre Tooth Tiger. Our team works hard to find you the best deals and provide you with a wide selection of products. Wheel Color: Orange. We recycle! Fits ZT2800, ZT3100 & ZT3400 Series Hydro-Gear Hydraulic Transmissions. MTD, Cub Cadet, White Outdoor & Scag Part #: HG71411 72274. Replaces AYP Part Numbers: 134149, 422719. 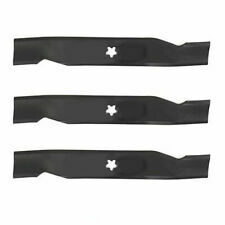 Oregon Mower Blades for 42" Craftsman Mowers. Includes (2) Blades as picturedItem Specifications Requires 2 blades for 42" Mowers. OUR PLEDGE TO YOU Made in the USA! (1) Puncture proof 9x3.5x4.0 Tire pressed onto a orange rim. Scag: 48006-01, 481896, 48307, 48307-01. Will also work with but not limited to the following Scag Models Scag 32", 36", 48", 54", 61" and 71" Walk Behinds. Cub Cadet Model numbers. Our hardware is Grade 8 (typically much stronger than ungraded OEM nuts). Grade 8 nuts are marked with two lines at 60 degrees on the flange as shown in photo # 2. This nut can be used on blade or pulley side of the spindle. ◈ Jar Labels. Briggs & Stratton: 494768, 5091H, 5091K, 697947, 698183. Briggs & Stratton: 4129, 493629, 5065, 5065H, 5065K, 691035, 695666. BRIGGS & STRATTON #. BRIGGS & STRATTON 5056. BRIGGS & STRATTON 5056D. Trending at $7.25eBay determines this price through a machine learned model of the product's sale prices within the last 90 days. 5 out of 5 stars - OEM Honda Carburetor GX390 16100-Z5T-901 "In stock Ready to ship"
3 product ratings3 product ratings - OEM Honda Carburetor GX390 16100-Z5T-901 "In stock Ready to ship"
Briggs & Stratton: 4049, 4049H, 4154, 492056, 492932, 492932B, 492932S, 5049, 5049H, 5049K, 5076, 695396, 696854, 795890, 842921. Ferris: 5102278X1, 795890. Land Pride: 831-053C. MTD: 951-12690. Rotary: 6929. 42 product ratings42 product ratings - Two 20x10.00-8 Deestone Turf mower Tires 2010008 4ply DS7043 D265 FREE SHIPPING! Used on auto drive MTD made LT's. MTD, Yard Man, Cub Cadet, Troy Bilt, and more. This is the primary belt or lower drive belt. Used on 600 series auto drive mowers 1999-2003. A generic 5/8 X 91" belt is slightly different and costs only a little less than this belt.